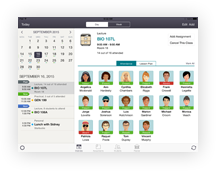 iTeacherBook is the unique application for teachers which combines tracking schedule, managing students attendance and grades. 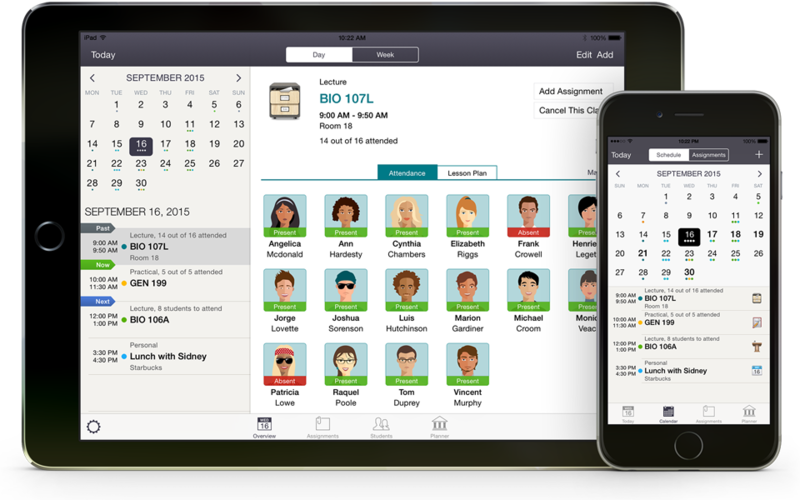 Daily overview of scheduled classes, class details and option to check students' attendance. With the Planner tool you can easily enter your courses and lectures. Every day you will see the plan of the classes you need to give, with possibility to edit details and add notes. bulk import CSV or VCF file from iTunes® File Sharing or add through Contacts or add new student entries. iTeacherBook lets you create assignments and send them to all the students enrolled to your course. You can mark assignments depending on status (learn more from the app) and sort by due date and by course. 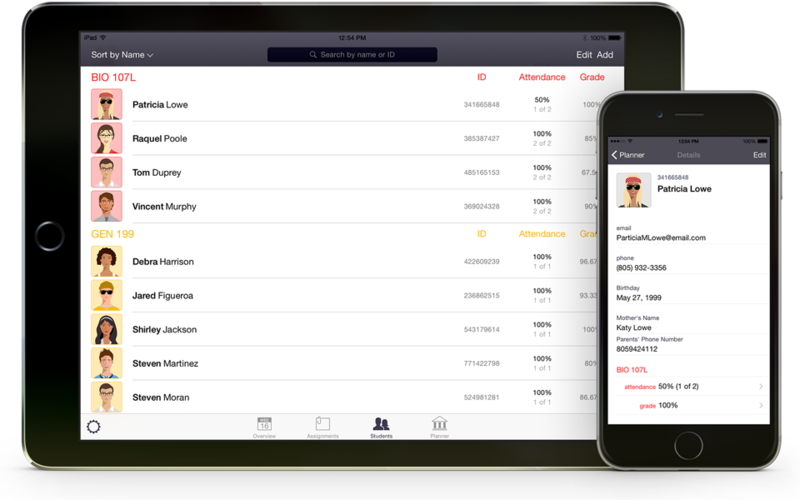 You can attach students to every course and track their attendance for current and past classes. 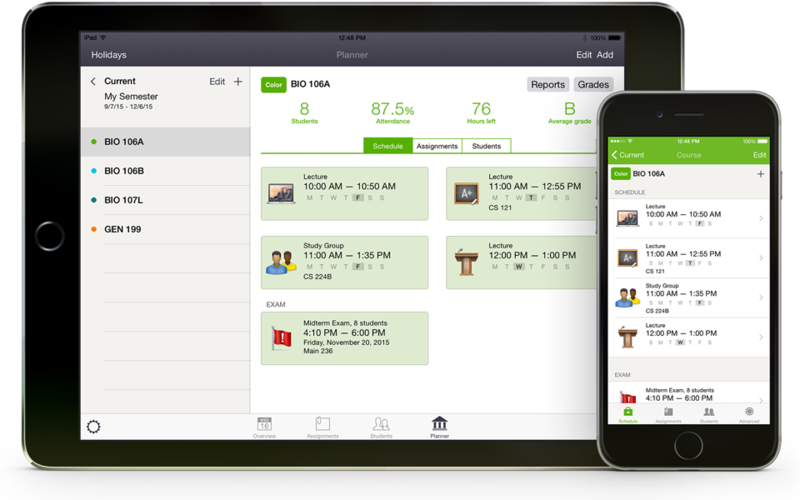 iTeacherBook will always show you how many students are enrolled to the course and how many attend each class. iTeacherBook can also show your personal events from iOS Calendar, if you wish so. You can also create events straight from iTeacherBook as well as choose which calendars you wish to see in the app. 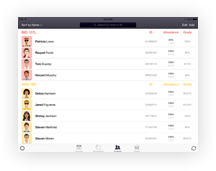 iTeacherBook grants you the option to create various types of reports and exporting them as .csv files to iTunes or Mail. Create attendance report, grades report or general students information report. Notifications option integrated into iTeacherBook will not let you forget about any upcoming class or task, instead reminding you of every event and assignment to hand out, as well as of tests and exams that you need to host. iTeacherBook settings integrated in the app allow customizing almost everything in the app: grading options, general time duration of a class, notifications times and dates, calendars management, app icon badge and much more. © 2011-2018 iStudiez Team. All Rights Reserved.